MONCTON, N.B. 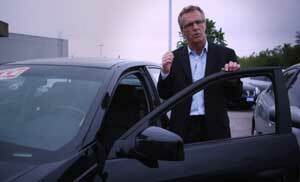 – Gord McComb and his son Jim are growing their operations again. 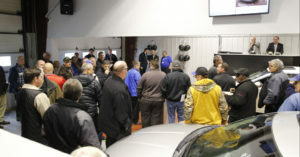 McComb, the East Coast auction veteran and president of Canadian Auction Express opened a new site in Moncton in early November with a grand opening reception and auction. The new location is an 8,000-square foot facility boasting three lanes, a cafeteria and office space. There is a five-acre fenced section and another three acres for additional parking. “We had outgrown our old spot and were lucky enough to find this location just two minutes away,” he told Canadian AutoWorld. 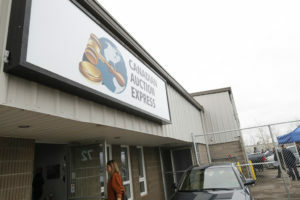 Canadian Auction Express opened in Moncton roughly two years ago and has grown into one of the largest dealer consignment sales east of Montreal. McComb said the auction offers financing via Nextgear and AFC and guarantees cheques and titles through AIA of Alabama. “We also are hooked up with Auction Access for uniform dealer registration,” he added. Helping grow the business are the recent additions of two industry veterans. Former Audi Volkswagen dealer Rheal Hebert is chief operating office and Arnold Lee recently joined to help grow the corporate business. 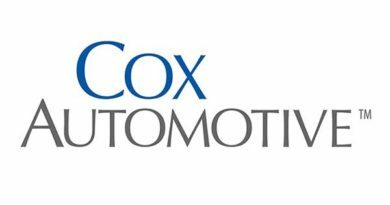 Lee has a storied and extensive career in Canada’s auto industry including more than a dozen years in finance with FinanciaLinx and GM Financial Canada. “I am happy and pleased to join with one of the Canadian pioneers of the auction industry to help Canadian Auction Express obtain some corporate business in New Brunswick,” Lee said. 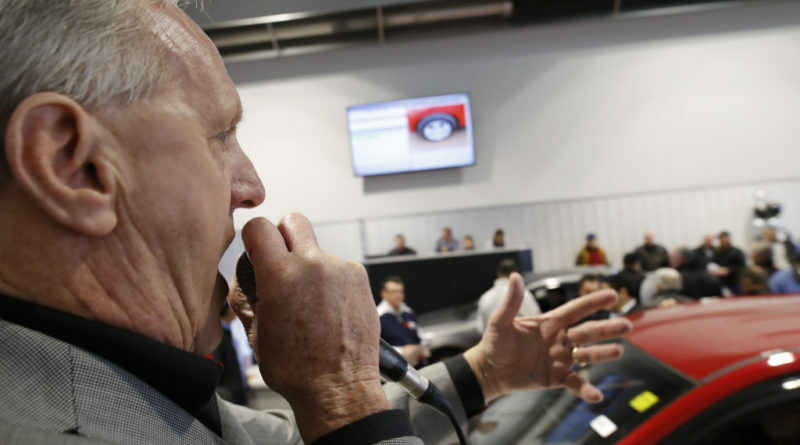 McComb, who runs the business with his son Jim, said the inaugural sale on Nov. 3 brought in buyers and sellers from Ontario as well as online shoppers from across Canada and the northeastern U.S.
Auctions are held every Thursday at 12:30 pm and features vehicles from franchise and used-car dealers as well as bank, fleet and lease companies.